We have received your message and will contact you shortly. We are looking forward to talking very soon! #1) FREE mini Modeling session!!! completed by the spring of your junior year. Bring funky and fashionable outfits and/or sports equipment and uniforms... what makes you you? #2) FREE Senior session!!! completed by the end of September(ish) of your senior year. #3) FREE Family session!!! completed before you leave for college. #4) FREE custom photo ap!! #5) Website, Blog, Brochures, Displays & Facebook – are some of the places in which you may appear locally. Tradeshow displays, books, magazines and presentations INTERNATIONALLY. #1) You may only use DayDream Photography for your senior pictures. #2) You will rotate a DayDream Photography photo through your Facebook/Twitter/Instagram profile pictures. #3) You agree to a minimum purchase of your senior pictures (our smallest package about $500) with a $150 deposit due to get into the model program. We will hold meetings at the DayDream studio. You ARE required to attend one of them with a parent. At that time we will go over all of the benefits and requirements of being a DayDream model. We will answer all of your questions then and ask you to be a model. BE SURE A PARENT HAS SEEN THIS BEFORE YOU COME! 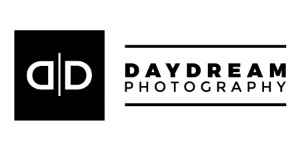 You DO NOT have to be a perfect model size to model for DayDream Photography!!! You DO have to be outgoing and involved in activities at your school. Where do you do to school? How did you hear about the DayDream model program? Have you ever had a job? If so, what did/do you do? What are you involved in at school/church? What are your socail media user names? My parents know I am doing this and I have their permission. Of Course! Who wouldn't do that? I never tell my parents anything. I have read and understand the details.